Whey protein comes from milk and serves as a source of complete protein, which means it provides all the essential amino acids. Whey digests very quickly, unlike the other component of milk, known as casein protein. A natural byproduct of the cheese-making process, whey protein can be concentrated and isolated from the other compounds in milk, and then used to make powder supplements. Protein powders made from whey have become the number one selling bodybuilding supplement, according to "The Top Ten Supps You Can't Live Without" by Jim Stoppani, PhD, because of whey's ability to supplement an exercise program to maintain healthy muscle tissue. Several dairy products also naturally contain whey, so consuming dairy also boosts your whey intake. Ricotta cheese contains the most whey of any whole food because it is made from whey protein. During the cheese-making process, the curds separate from the whey. For years whey protein was a waste product of this process and was simply thrown away. The main difference between ricotta cheese and whey protein powder is that the protein powder manufacturing process removes the fats and sugars. If you use ricotta cheese as a dietary source of whey protein, choose the low-fat or part-skim variations to avoid high saturated fats. 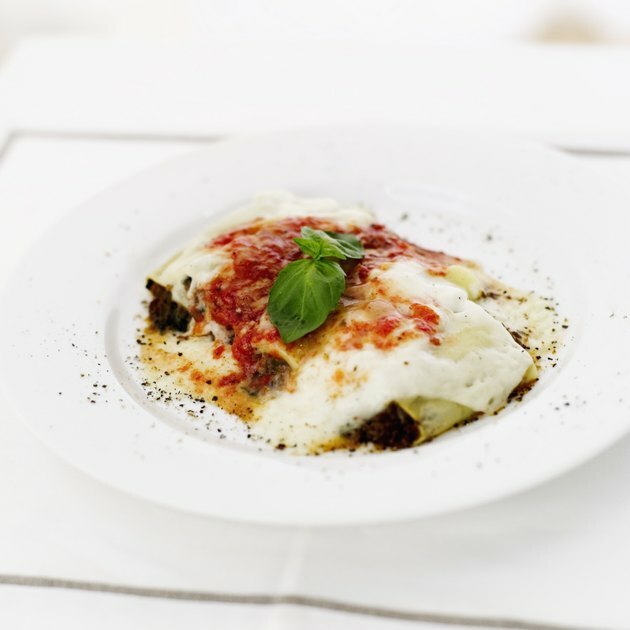 One cup of ricotta cheese provides 28g of protein. Considered nature's perfect growth-inducing protein, milk contains both slow-digesting casein and fast-digesting whey protein. In cow's milk, this ratio tips way toward the casein protein content, equaling approximately 80 percent. Which means that 20 percent of cow's milk comes from whey. Milk, however, contains high lactose and may cause allergic reactions or gastrointestinal discomfort in some individuals. Goat milk contains proteins that digest more readily in the human body, according to "Muscle & Fitness." Not as widely mass-produced, goat milk contains fewer hormones, pesticides and antibiotics. Skim milk contains 8g of total protein per cup. Yogurt also naturally contains some whey protein because it comes from milk. In addition, yogurt contains probiotics or natural bacterial flora, which line the intestines and play a role in overall health and digestion. For dieters, probiotics help with weight loss because they naturally alter how much fat the body can absorb during digestion, according to "Five Fat Fighters" by Matthew Kadey. 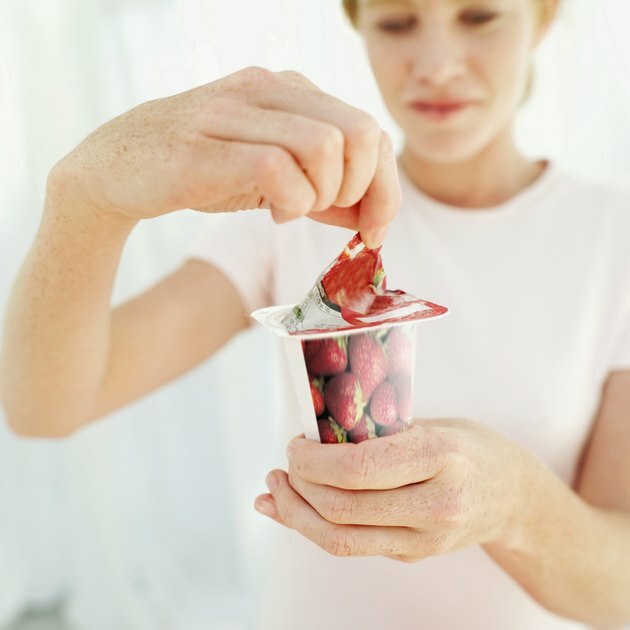 Choose plain and fat-free yogurt, which contains 13g of protein per cup. Add yogurt to fruit smoothies granola, fresh fruit or other healthy snacks. Greek yogurt -- made by straining yogurt to remove excess water -- provides more protein, and therefore more whey. The protein content of Greek yogurt varies by brand, but can be up to 18 grams per cup. All cheeses naturally contain some whey protein due to the processing of dairy milk. 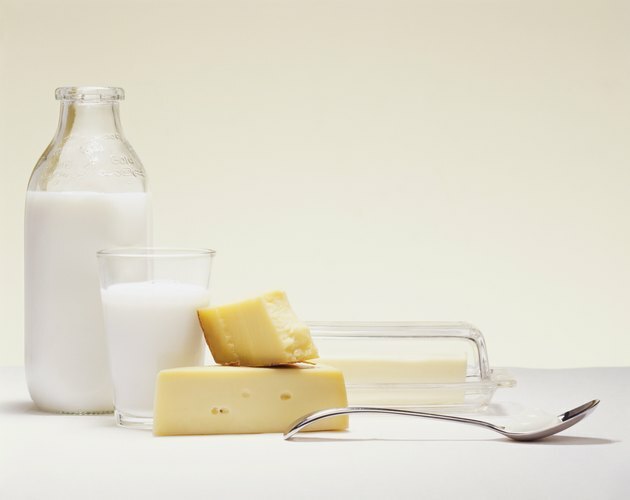 Sweet whey comes from the process that makes cheeses like cheddar, mozzarella, swiss and other cheeses made with rennet enzymes that coagulate casein. 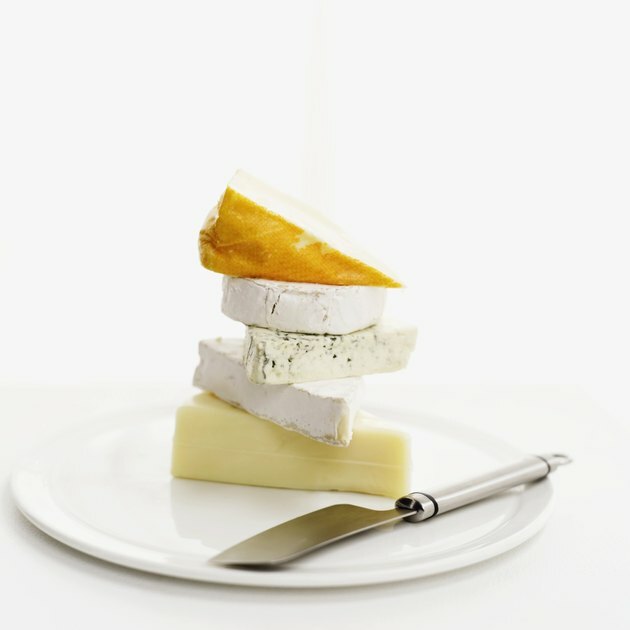 Most cheese-makers consider whey a waste product, according to "Whey to Go" by Liz Campbell. She goes on to say that the Norwegians and Greeks continue to process whey further to make brown or Mysost "whey cheeses" like Gjetost.